Did you hop on the Instant Pot train when Black Friday rolled around?? I think almost everyone I know did! Amazon was having an amazing sale (read: like 50-60% off the normal price) this last BF and it's all I saw for days! Everyone and their new Instant Pot (or IP for short)! I have to admit, I jumped on the train as well. It was an early Christmas present from our family to our family, hehe. But more specifically to me I guess since I'm the sole food preparer! I've been playing around with it since, and I have to say, it's pretty fun. I've basically only used its pressure cooker function, but I have big plans to use its yogurt making function soon! Can't wait for homemade coconut yogurt! I haven't had yogurt in soooooo long! We were blessed with a bounty of fresh pineapples one week, from a friend. I mean...like 6 or 8 pineapples! All needing to be used within a short amount of time. So, I sat there with my counter completely covered with the fruit going, "...what...am....I...going...to....do...?" 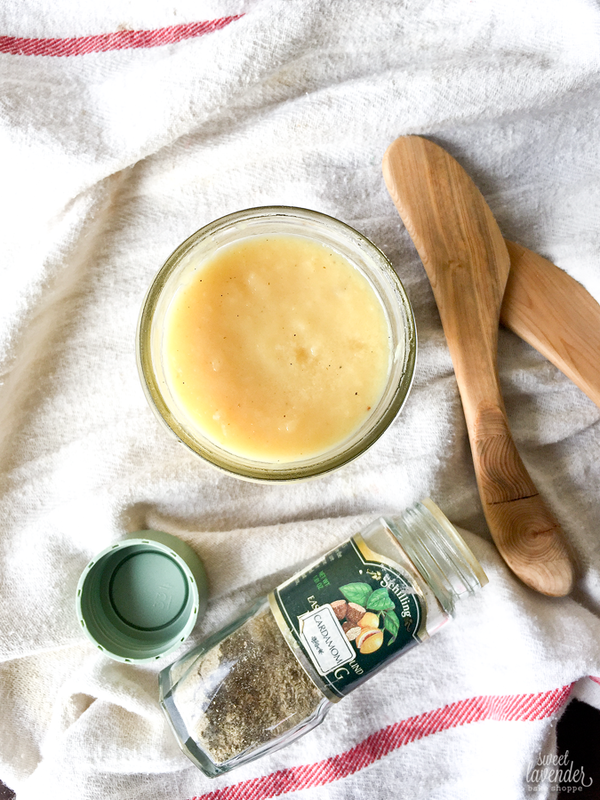 Then it hit me- Instant Pot the heck out of those things and make a much quicker version of my pineapple butter with vanilla and cardamom. Duh. We LOVE that recipe. So that's just what I did. 1. Place the chopped pineapple, vanilla extract, ground cardamom, vanilla seeds, coconut oil and coconut sugar into the bowl of your Instant Pot. 2. Turn on Instant Pot, place lid on and slide to lock. Turn pressure gage so its set to "Sealing". 3. Then, press "Manual", make sure it's set to "High Pressure", and set the timer to 5 minutes. Allow Instant Pot to do it's thing! 4. Once the time is up, allow it to release pressure on its own, or very carefully with a towel, release the pressure yourself. 5. Meanwhile, bloom the gelatin in the cold water for 5 minutes. 6. Add bloomed gelatin to the pineapple butter mixture and stir until gelatin has melted. With an immersion blender (or carefully added to a high speed blender), blend everything to desired consistency. For "butter", blend until completely smooth. 6. Carefully pour into clean glass jars and seal. Once cool, store in refrigerator for 2 weeks!